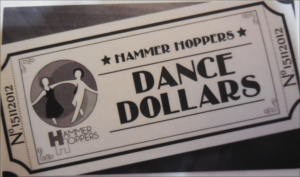 Purchase your Hammer Hoppers Gift Cards today and share in the fun of dance with your friends and family! 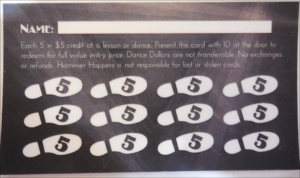 These cards can be redeemed for any of our lessons, social dances, or workshops making it really easy to use for those with busy schedules or special interests. It’s a great way to try something new by surprising someone with dance lessons or socials for your next gift. Make memories and experience dance together!